Building credit means being aware of how much revolving credit you have and how much you’re actually using. Pay your balances down and keep them low. Try to avoid having multiple credit card balances. You might not know it, but even if you’re good about paying your credit card balances every month, your credit score will look at your monthly balances as a whole and not so much at whether you’re making those payments each month. If you have a bunch of smaller credit card balances on multiple cards, it’s important to reduce these to improve your credit score. Your score takes into consideration how many of your cards have balances, so if you have $70 on one card and $55 on another card, it can hurt your score. It’s better to just keep a balance on one or two cards over many. Gather up all your credit cards with small balances and pay them off. Then pick a couple credit cards that you can use for everything instead. Lots of people think that they should call up the credit bureau and have any hint of old debts removed once they’ve paid them off. In reality, if you’ve completely paid off an old loan, that’s a good sign that future creditors will be happy to see. Debt that you’ve handled well and made timely payments on until it was completely paid off is just what you want to showcase. The longer your history of “good debt” is, the better off your credit score will be. One of the best things you can do to improve your credit score is by avoiding financial behaviors that make you seem like a risky potential borrower. Some common examples include missing payments on current loans, and charging more to credit cards than you usually do. A card or loan lender might also raise an eyebrow if they notice that you’ve been making lots of visits to a divorce attorney or your local pawn shop. This is a straight-forward tip, but one that can’t be overlooked. Building credit and establishing a good credit score is determined by what’s in your credit report. If you aren’t consistent with paying your bills and paying them on time, your credit score will suffer. Even if you let a small fee go too long without paying it off and it goes to a collections agency, this can be reflected on your report. 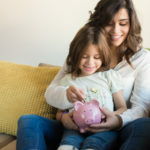 If you have to keep a savings account readily available for backup, or if you have to take out a small loan, to make sure your bills are always paid, do it. It’ll be worth the effort. Before you get too far behind on your bills or payments and damage your credit, take out a small loan with us to get your back on track as you work on building credit and spending smartly. You can apply directly on our website and contact us with any questions you have and we’ll be happy to help you! 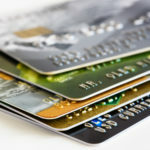 Previous article Credit Card vs Debit Card: Which Is Better for You?